A centuries-old healing agent, Nigella sativa (N. sativa) aka black cumin seeds, often pressed to create black seed oil, has been scrutinized by science to confirm what traditional healers have known for ages: N. sativa is preventative and curative for many ailments without the side effects of modern pharmaceutical drugs. Two recently published journal articles looked at how black seeds can heal organ ischemia damage and prevent or help Alzheimer's disease. Black cumin seed oil, technically known as Nigella Sativa or N. sativa, has been used for thousands of years for several maladies, disorders, and both infectious and non-infectious diseases, especially throughout ancient Mideast, Egypt, and Greece. Currently, black cumin seeds and oils (from the seeds) are used as traditional medicines in the Mideast as well as parts of Africa and Asia. It's principal and most abundant bioactive phytochemical ingredient is thymoquinone. In addition to the multitude of anecdotal reports demonstrating efficacy and safety, there has been a growing curiosity among modern medical researchers who have been researching black cumin seed oil’s thymoquinone for the past few decades. 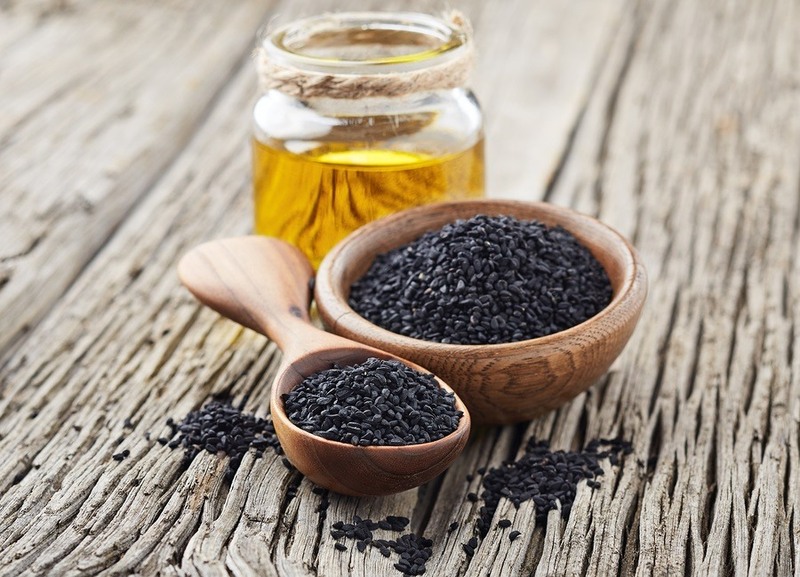 Two more studies have been added in 2018, both relating to black seed oil's ability to relieve arthritis. One was a review article and the other a human trial study. Black cumin seed oil continues to receive serious attention from medical researchers around the world. Since Health Impact News first published two reviews of black cumin seed oil research in the summer of 2014, there have been another 215 scientific papers published about this amazing oil. This article will provide you with a summary of recent findings from early 2016, which can be applied to a variety of health concerns. Topics in this article include: learning, memory, and anxiety; oral health; diabetic health; radiation exposure; male infertility; female infertility; breast pain; preventing paralysis from aortic surgery; lead poisoning; corneal injury; and MRSA infection. Black cumin seeds and black cumin seed oil have been widely used for reducing blood pressure, cleansing and tonifying the liver, reducing fluid retention, supporting healthy digestion, treating diarrhea, stimulating the appetite, reducing pain, and treating skin disorders. Studies have confirmed numerous pharmacological benefits. Black cumin seeds are also called Nigella sativa seeds. These seeds have anti-diabetic and anti-cancer properties. They can be used to regulate the immune system, reduce pain, kill microorganisms, reduce inflammation, inhibit spasmodic activity, and open the tiny air passages in the lungs. Black seed oil protects the liver, the kidneys, and the stomach/ digestive system. It is a powerful antioxidant. Tropical Traditions announced today that it had added Black Cumin Seed Oil (nigella sativa) to its line of premium quality edible oils. 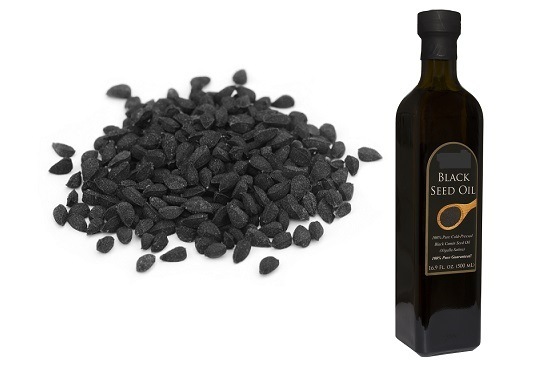 The oil originates from Turkey, where some of the world's highest quality black cumin seeds grow. Black cumin seeds have been uncovered in Turkey from the ancient Hittite empire, dating back to 1650 BC. The seeds are rich in nutrients and antioxidants. Nigella sativa is known by various other names such as: black caraway, fennel flower, nutmeg flower, Roman coriander, kaljeera, habbat al-barakah, among others.